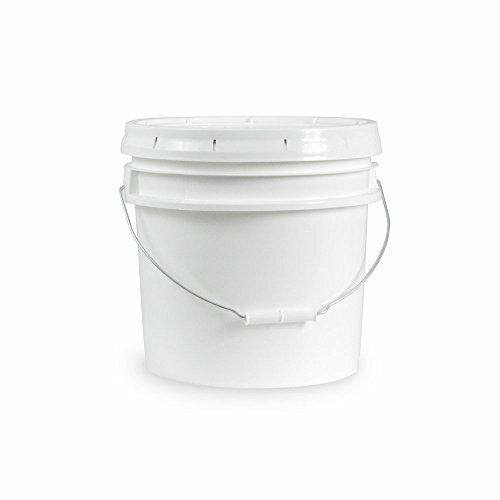 This 3.5 Gallon storage bucket is made with FDA approved plastic, BPA free and amazingly strong and solid. Manufactured with an all-metal handle encased with a plastic molded grip to protect hands when moving heavy loads. Safe and easy to be stacked with the customized lipped lids. There is no better choice for those looking for a solid food grade container to store seeds, flour, sugar, pet food or any number of non-perishable goods. You have our word that we will do everything that we can to make sure returning your product is not necessary. However, should the need arise for any reason, please contact us to obtain authorization for a full refund or exchange if you have any issues with your product. Please request this refund or exchange within 30 days of receiving your order. For all returns within the 30 day return period, eLuxurySupply will provide a prepaid return label for a completely free return. If you have any questions about this product by ePackageSupply, contact us by completing and submitting the form below. If you are looking for a specif part number, please include it with your message.